The growth of Netflix’s ambitions in the children’s TV market has been making waves in the industry. 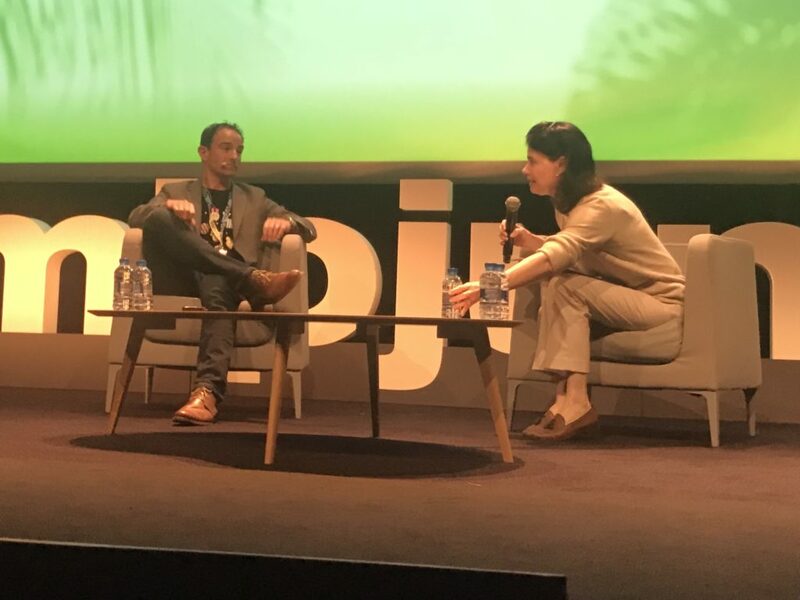 Today at MIPJunior, we heard from the online-video service’s head of global kids content, Andy Yeatman. 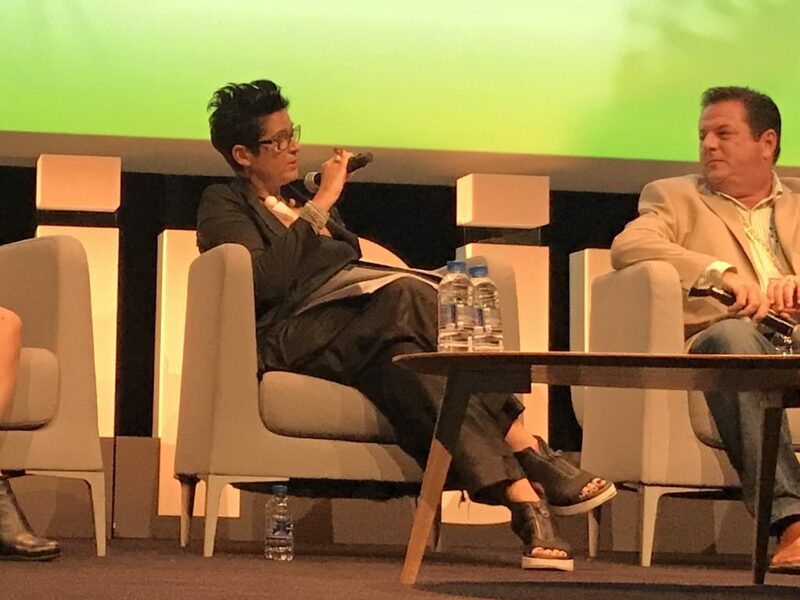 The former Walt Disney Studios digital executive talked about Netflix’s kids strategy, with a speech followed by a sit-down interview with World Screen group editorial director Anna Carugati-Guise. He talked about the importance of premium quality and diversity, and to be the exclusive home for “must-see properties” in the on-demand space. “We have a platform that’s really designed for enhanced storytelling. We put all episodes of a season up at once, which enables creators to tell a story that builds… a more compelling, engaging story than having to reset the table at the start of every episode,” he said. Yeatman stressed that episodes can be different lengths. “We’re actually blurring the lines between what a movie and a series is. Netflix is actually just content and story structures with different lengths,” he said. That applies to the commissioning model too. “We’re moving away from the standard episodic structure. We’ll order a certain number of minutes or hours,” he said. Netflix is also experimenting with interactive storytelling, launching two specials with branching narrative – “choose your own adventure-style narratives” where kids can make choices for the characters. “Kids have rewatched these specials a lot: they want to know what would have happened if they’d made different choices,” he said. Netflix will be launching more interactive shows in 2018, including “more ambitious” interactivity. Yeatman talked about Netflix’s ambitions in commissioning original children’s shows, and getting involved in licensing and merchandising. “In the last few months we’ve hired a licensing and merchandising team,” he said, before noting that Netflix is licensing kids content from 49 countries, with 43% of kids’ titles produced outside the US. International content is currently about a third of actual viewing hours, but growing faster than US-sourced shows’ viewing hours. Example shows that perform well when children are choosing what to watch in Netflix’s EPG: highly-visual animation like Larva from South Korea; shows with an easily-understandable hook like The Worst Witch; fantasy and universal themes like family and friendship, and global IP like games franchise Skylanders. “It’s not enough to follow somebody else’s formula. You really need content that looks and feels distinct,” he said. Yeatman talked about the three different paths to getting shows on Netflix. It’s looking for top IPs in local markets; formats that travel well; top studios and creators from the traditional industry; and shows that balance Netflix’s overall kids slate. From teen telenovelas from Latin America to animation from South Korea, Netflix is looking for the top local producers and ideas. He announced two new shows: Mighty Little Bheem from Green Gold Animation in India, based on a popular character in that country. And YooHoo & Friends from Aurora/MondoTV in South Korea. 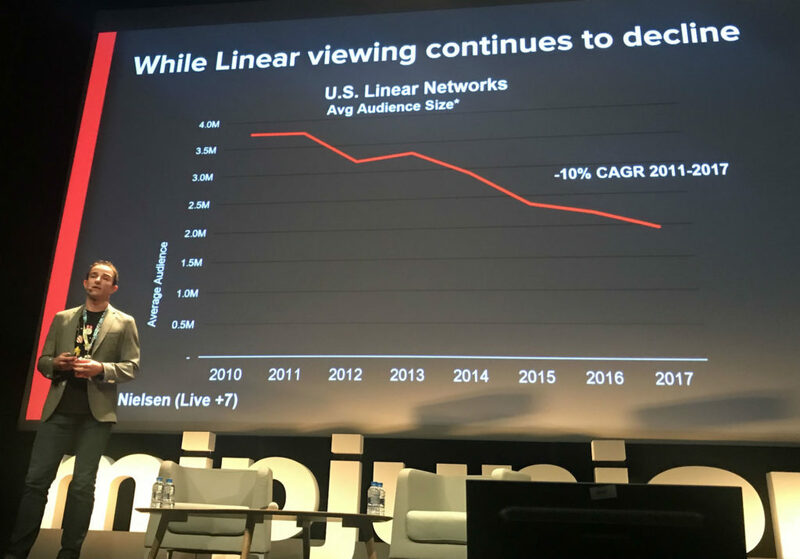 Netflix is also partnering with local broadcasters to coproduce shows, but the majority of its content continues to be second-window acquisitions that co-exist with linear, catch-up and home video windows. “We don’t have a house style or brand that you have to conform your content to,” he added, in another jab at linear children’s channels, before sitting down with Carugati-Guise for the Q&A section of the keynote. Yeatman said that producers must not come to Netflix with vague pitches trying to second-guess what the company wants. “We’re really looking for a distinctive creative vision,” he said. And Netflix doesn’t make pilots, so it wants to hear producers pitching their vision for how a story plays out over a season too. 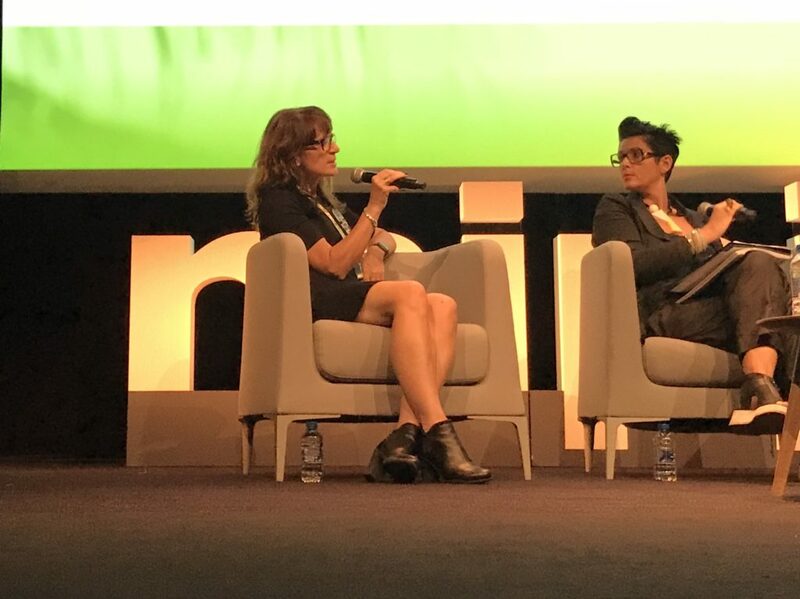 Before the Netflix keynote, MIPJunior also hosted a panel session on diversity, inclusion and new family structures. The focus was on whether the TV industry is doing enough to tell these stories, and if not, how it can improve. 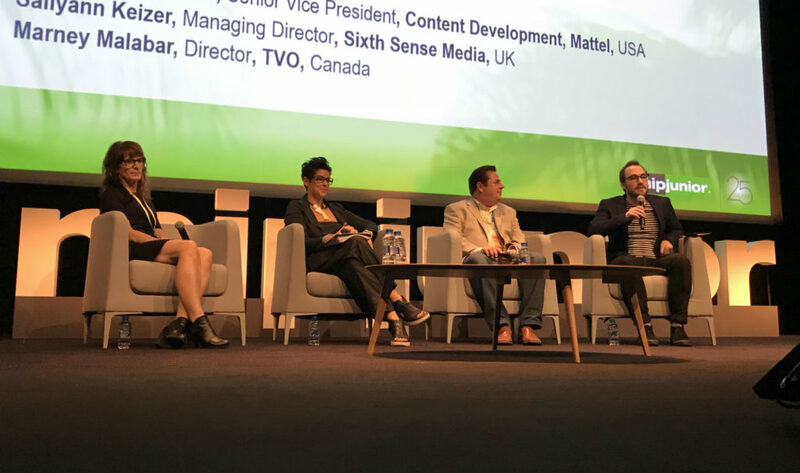 The panel included Christopher Keenan, SVP of content development at Mattel; Marney Malabar, director of TVO; and Sallyann Keizer, managing director of Sixth Sense Media. The moderator was Nico Franks, editor of C21Kids. Malabar said that TVO is seeing diversity shine through in animated series as well as live-action series, which she counted as real progress. But Keenan warned the industry not to rest on its laurels. “We really want to ensure that we’re pushing the envelope and trying new things,” added Malabar. “Often what will make a show stand out is when it’s being authentic and being told in a new voice… It’s really important to us that you’re not just saying this and then having the full production team that all come from the same backgrounds.” Keizer agreed. “Somebody said to me recently that diversity is a reality and inclusion is a choice,” said Keizer.